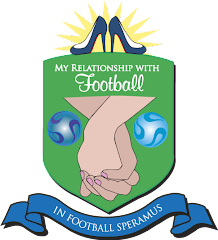 My Relationship With Football: What is that Victoria? What is going on with your hair, dear? Are you trying to do a little face lift action by pulling your hair back so tight that your wrinkles disappear? Well it's not working. You just look unemotional (although, I suppose, no more than usual) and a little scary, frankly.